The Hairy Bikers Chopping Board Large is big enough to be used for everything, from herbs to vegetables and meat (although not all together, please!). Wood has natural anti-bacterial properties, and ours is European FSC approved, too. 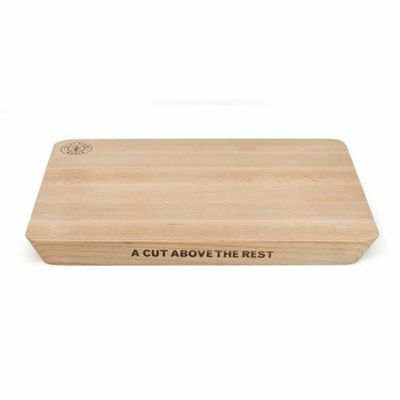 This chopping board also has sloping sides that eneble easy lifting. for submitting product review about Hairy Bikers Chopping Board - Large.